Talk about doom and gloom. One look at the Journal’s webpage and the pessimists are in for a treat. It’s no secret that Binghamton, Elmira and to a lesser extent Syracuse and Utica-Rome have suffering, declining economies. Upstate was the factory of the nation a hundred years ago. Now, for a number of reasons, manufacturing has shifted to the south, or more commonly, overseas. Ithaca’s neighboring metros are suffering. I’m personally not a fan of the way the article is presented. It’s the highlighted piece of the Journal. But the title doesn’t really apply to Ithaca, and they acknowledge that if one reads the article. A lot of folks will only glance at the title, think it applies to Ithaca, and think that the Ithaca economy is tanking. Question dear reader, how many times have you read an article online, scrolled down to the comments and clearly see the comment of someone who read only part of the article, if any of it at all? “Ithaca is the sole economic oasis in central New York. 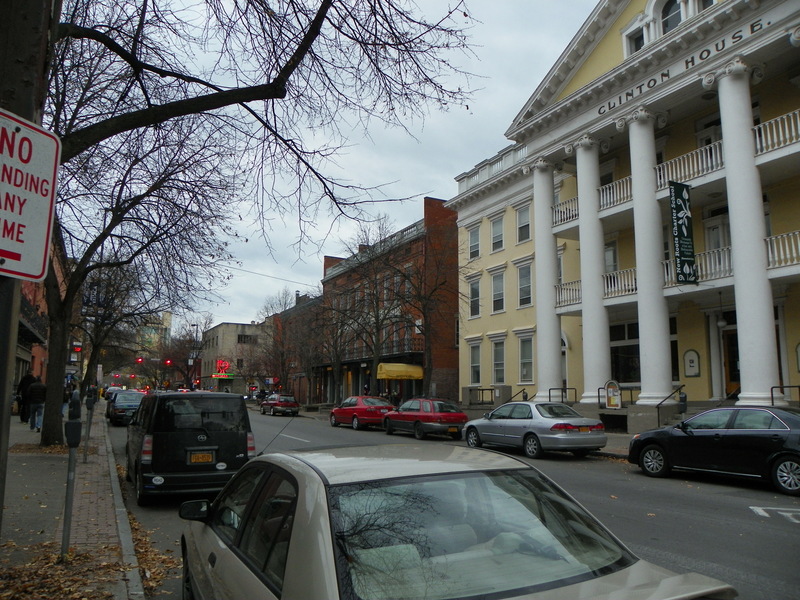 Since the recession, Ithaca’s private-sector jobs have grown by 10 percent. Only New York City has done better in the state, with nearly 15 percent more private-sector jobs in the same period. The reason for Ithaca’s resilience: an economy heavily dependent on education services and far less reliant on manufacturing. Education and health services alone added 6,800 jobs in the Ithaca region over the past 10 years, with 4,600 of those since the recession in 2008. But that belies some underlying weakness, Kacaypyr said, notably in housing and retail sales. I guess if it was me, I’d have pushed for “Ithaca An Economic Oasis in Sputtering Upstate Economy”, or “Upstate Economy Suffers, Ithaca Rare Exception”. But what do I know; I’m a blogger, not a professional journalist. Anyway, that last paragraph stands out to me – the IJ ran an article about that a couple of days ago, here. The report, prepared by Elia Kacapyr of Ithaca College, is mostly disappointing news, 0% growth in the local economy with most indicators staying steady with inflation. But I do want to make a couple of contrasting points to some of the data. The jobs number stated in the article, which seems to be a major swaying factor in the ecnomic report, is a net gain of 100 jobs in 2014 (a 2013 annual average of 69,000, and a 2014 annual average of 69,150, which is rounded down). The data comes from the Federal BLS website here. I don’t fault working with the data in it current form, but I will note that the numbers are suspect. All of the year-over-year job losses are in a period of February to May 2014. I’ve written about this before. This was covered on the Voice. You can darn well bet that a loss of 1300 jobs like the one reported last May would make the news. Then the Voice ran reaction articles from city officials and county officials. The BLS numbers are up for revision. And because the numbers are generated via random sampling, that for a small community like Ithaca, may not be statistically significant, and the potential for misleading data is large. In Spring 2012, initial reports of a 4,100 job loss were revised to a gain of 1,100, a nearly 10 percent change to the overall total (I made note of the steep drop that time as well). Revisions to the 2014 data haven’t been fully implemented yet, and there’s still no evidence of large layoffs in the education and healthcare sector. Latest numbers from Cornell’s factbook show the university added 73 faculty and staff from November 2013 to November 2014 (1% growth), and Ithaca College’s headcount decreased by 18 (1% loss). No large layoffs in the Ithaca area were noted in the state’s WARN act database. My honest expectation is that when the numbers are completely final, the number of jobs averaged out over 2014 will come out between 69,600 and 70,100. It still won’t be as much growth as 2012-13, but it’s a roughly 1% increase for the year. I could be wrong, but we’ll see. The report suggests 400 jobs will be gain in 2015, and economic growth of 0.3%. I think that with Cornell’s recent budget issues, and the resulting slowdown in hiring it may cause, that’s a fair estimate. This newspaper you mention, The Ithaca Journal. Never heard of it. Is it widely read? I wonder how many CU employees are getting close to retirement. The eligible people who didn’t take a buyout a few years ago should be getting close and it is unlikely any of them retired after not taking the buyout. Those people go and don’t get replaced and employment numbers go down. Speculating here. At the rate things are going, they’ll consolidate all the upstate Gannett papers out of Rochester and pay interns $10/hr to write. I’ve had people googling in “cornell retirement incentive rumor”, but I haven’t heard anything myself.